On the other hand earlier in December 2012, The San Francisco Declaration on Research Assessment (DORA) an initiated by the American Society for Cell Biology (ASCB) had put forth a recommendation that “the need to eliminate the use of journal-based metrics, such as Journal Impact Factors, in funding, appointment, and promotion considerations” and had asked the individuals and organizations to sign the DORA declaration. It is proposed that as the DOAJ is improving in terms of quality and services, shall we approach UGC and request it to consider giving weight-age to the DOAJ Indexed Journals while recommending the List of Journals and giving points for publishing in DOAJ Indexed Journals? 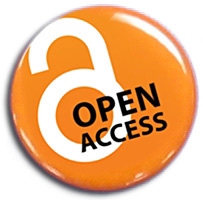 Cite this article as: Sridhar Gutam, "Letter to UGC on Impact Factors and DOAJ," in Open Access India, July 20, 2016, http://openaccessindia.org/letter-ugc-impact-factors-doaj/, accessed on April 20, 2019.